There are a number of agencies that advertise the ability to consolidate and reduce debt. We have all seen the commercials with customer testimonials that boast how a debt consolidation loan saved their credit and even their home. When you are facing mounting debt and struggling with credit issues, these advertisements are enticing. However, these loans are not necessarily viable options for everyone. Legitimate debt consolidation loans are only found through investigation because there are predatory companies that make big claims and can cause more financial strain than assistance. These companies will charge high and unnecessary fees and make following the program nearly impossible. The most common method of debt consolidation is that you take a loan from a participating lender with lower interest rates than many of your other debts and make one payment over an established period of time. The money is used to pay off the current debts. Legitimate debt consolidation loans are often offered by a local credit union or banking institution. A good credit score is usually a qualification for these types of loan facilities. Another option is a peer-to-peer lender such as Lending Club or Prosper. These are organizations where individuals fund the loans. These are ideal for those who have high interest debt with large balances. Many people face credit card debt with 20%interest on $10,000 balances. These loans are offered at a much lower rate that would prevent you from damaging your credit over slow or late payments and would save you money in the long run. The debt consolidation loans that are commonly offered by private institutions and debt relief companies are the loans where the agency settles your accounts and pays the debt for you. These are called debt repayment plans and you must take care when investigating a company that offers this service. Legitimate debt consolidation loans with these companies involve you making one payment made out to the institution and they distribute the money among your creditors. These are controversial but there are reputable organizations out there. The third way to manage debt is to open a new credit card and transfer all of your credit card debt into the new account. These cards are typically 0% interest for 12 to 18 months and they can help give you a chance to pay down the debt without increasing interest fees. It is important to read all of the fine print and understand the introductory guidelines for these programs. Should you have any questions, ask a financial advisor before committing to such a program. These work best if the debt can be paid off before an interest rate will be added to the account. Legitimate debt consolidation loans can be either unsecured (as the previously mentioned programs suggest) or secured. A secured loan is one where you must have collateral that is of some value. Homes are commonly used for collateral and due to the high risk these loans usually come with a lower interest rate. The risk is great because the lender reserves the right to collect the collateral on any defaulted loan. This means that if you run into problems making your payments, poor health or job loss, then your home could be foreclosed upon and you would lose the asset as well as accrue fees for financial recovery. Restoring your credit and paying off high interest loans are crucial to financial success. The less money paid in high interest or expensive, unnecessary late fees are money that can be saved for retirement or a child’s college fund. Good credit has become very important in our society. It not only determines your interest rate on credit cards or major purchases such as cars and homes but it is also used to regulate rates on things like insurance and sometimes even utility discounts. There are many companies that require their employees to have an average to above average credit rating in order to work in their company. Credit scores are becoming identifiers and it is important to maintain a healthy credit score. If you decide to go with a legitimate debt consolidation loan then it is important to put a plan into place that will prevent financial decay for the future. A budget should be created and managed and it should be re-evaluated as needs change. 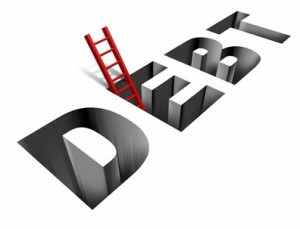 Once we clear out bad debt we begin to feel tempted to find ways to run up more debt. The biggest change needs to come with how you manage your money. Take time to evaluate what got you in the position that you needed to choose debt consolidation and indentify ways to better handle your bills and create a plan for emergencies. There are financial advisors that can assist you with making a reasonable and workable plan for money and debt management. Dedication and commitment to the plan will aid in your financial freedom.